Serious recreational athletes who want to improve their golf handicaps, tennis games, run marathons, etc. 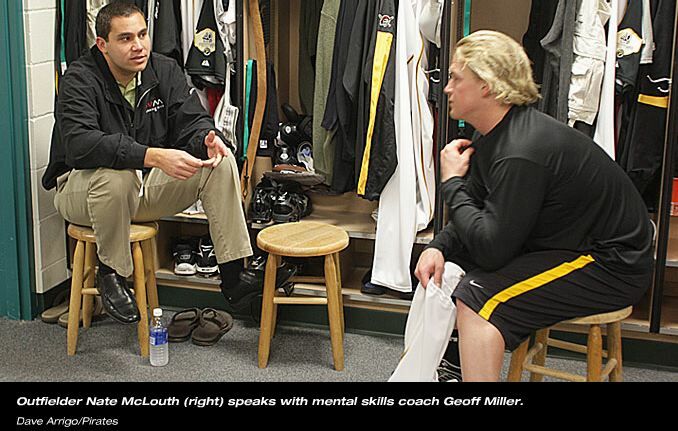 Geoff Miller was a great help to me as I established myself in the big leagues. I’ve always taken pride in my preparation and always felt like I was a mentally tough player, but Geoff helped me learn more about myself and gave me simple ways to work on staying focused, patient, and competitive on a daily basis. He constantly challenged all of us to think about how we play the game in ways we had never considered in the past.